Visitors at the 2019 Manila International Auto Show (MIAS) won’t only enjoy seeing an array of vehicles, but they will also have a chance to win over Php 3 million worth of prizes and cash discounts from Ford Philippines. 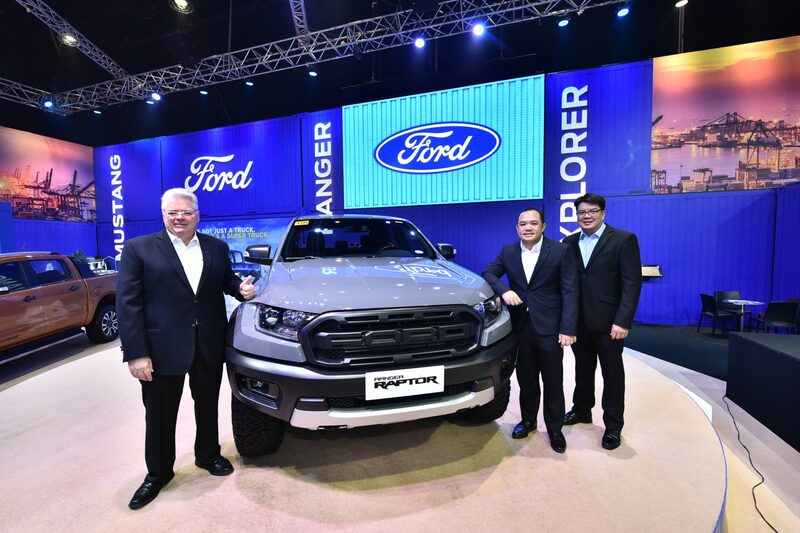 Customers who will reserve or purchase a Ford vehicle at the 2019 MIAS or within the month of April are entitled to receive raffle coupons, where one winner can take home a grand prize of Php 1 million cash. Other prizes include premium Ford merchandise, Rudy Project eyewear, a 3-year scheduled service plan (SSP), and cash discounts ranging from Php 10,000 to 100,000. On top of these exclusive deals, customers can still avail of various discounts and all-in low down payment offers for select Ford vehicles. The Ford Ranger 2.0L Bi-Turbo Wildtrak 4×4 AT is available with a retail discount of Php 60,000 or an all-in low down payment of Php 128,000. The Ranger 2.0L Turbo Wildtrak 4×2 AT is available for an all-in low down payment of Php 118,000 while the manual transmission variant is offered with an all-in low down payment of Php 109,000. Both Wildtrak 4×2 variants also come with a Php 40,000 retail discount. For more details on the offers, visit the Ford booth at the MIAS, any Ford dealership, or the Ford website at www.ford.com.ph.